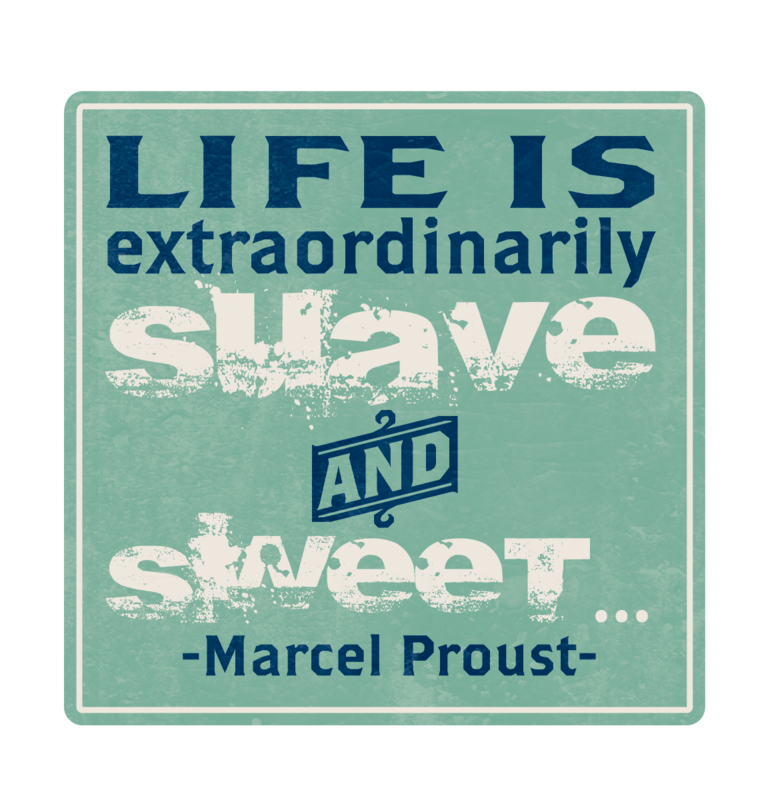 The quote says it all..."Life is extraordinarily suave and sweet." Our brand new collection, "Suave" is charming and adventurous with a hint of grunge. This is the story of a boy...and the story of a man! 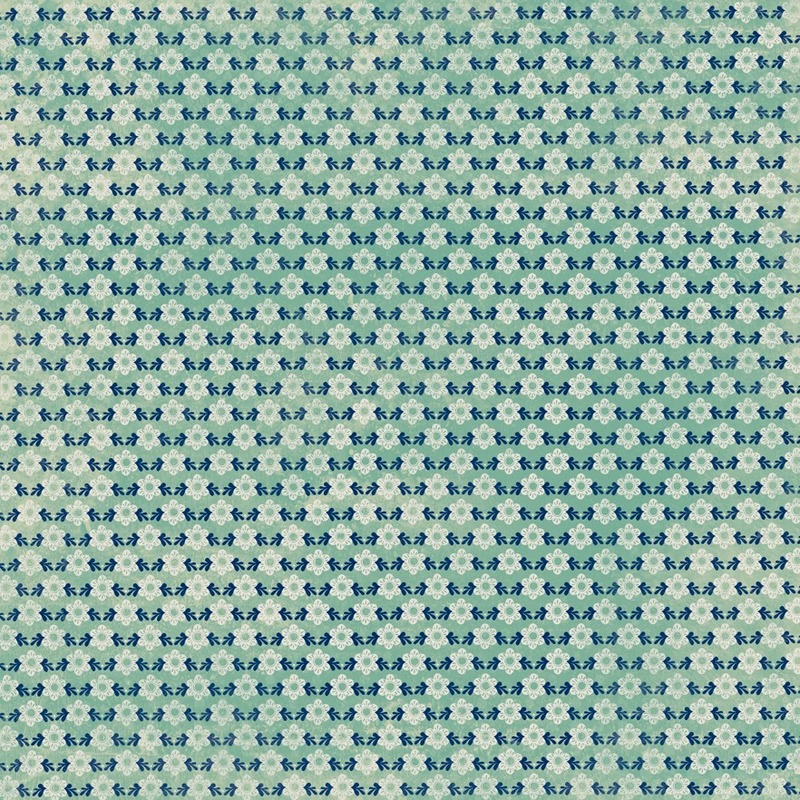 The basis of our "Suave" collection is classic, both in pattern and color. 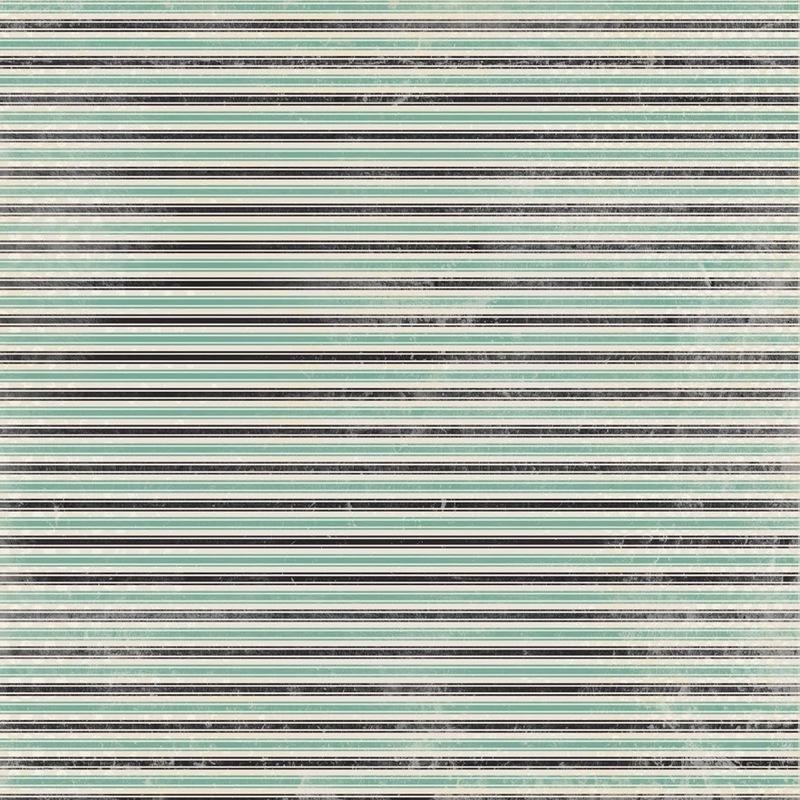 Shades of blue, green, cream and black present a wide range of age and usability. We promise you, there is something for men of all ages and you will love creating with this range. 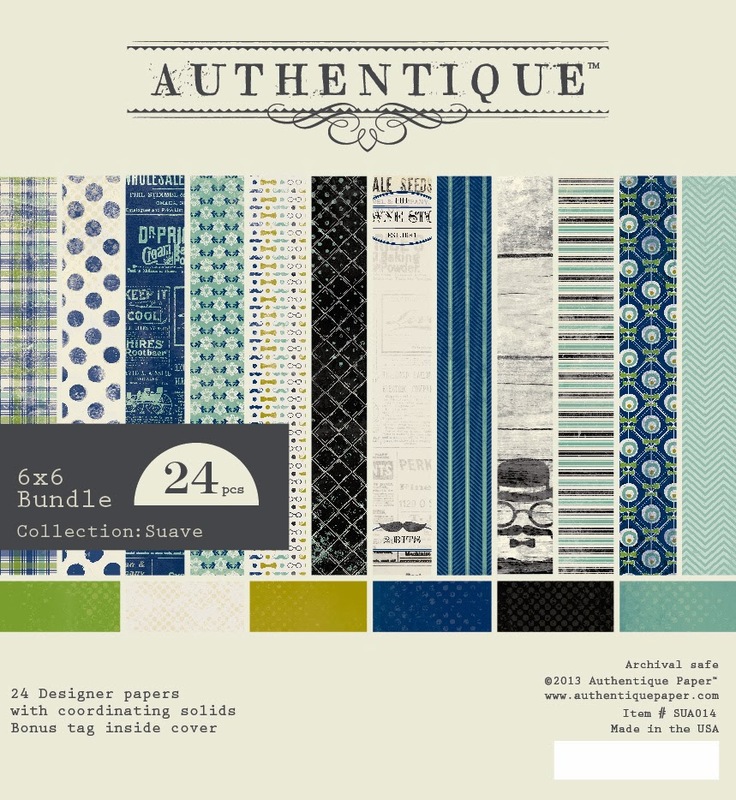 12 double sided papers, printed on our signature heavy-weight textured cardstock are named "Authentique-style," based on emotions felt as a boy, man, or when describing the man, whether big or small, in your life. 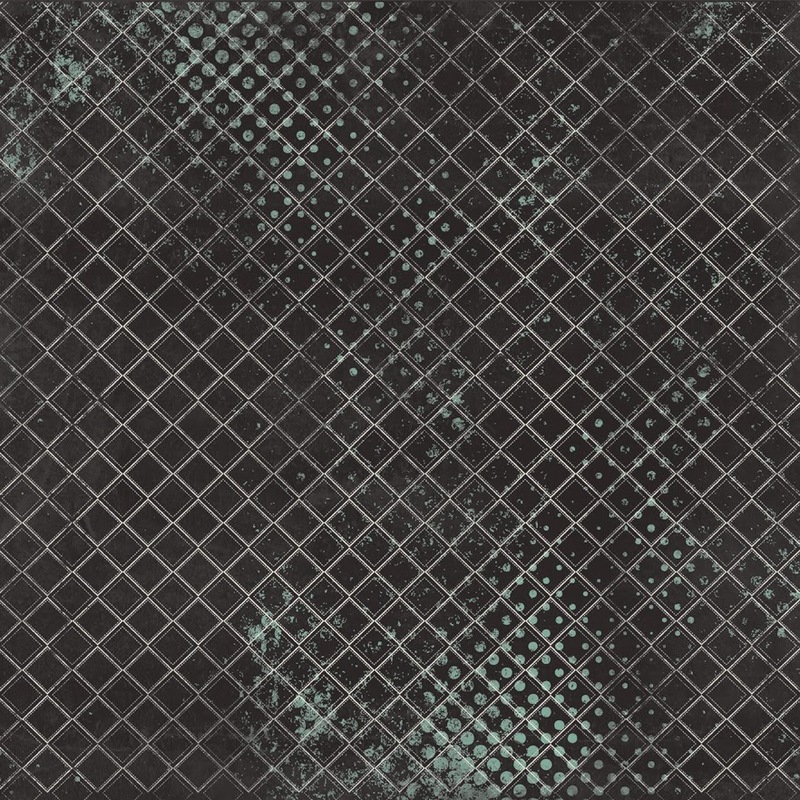 Opposite the pattern side of the paper are distressed solids...this is where the "grunge" comes into play (a little dirt never hurt! 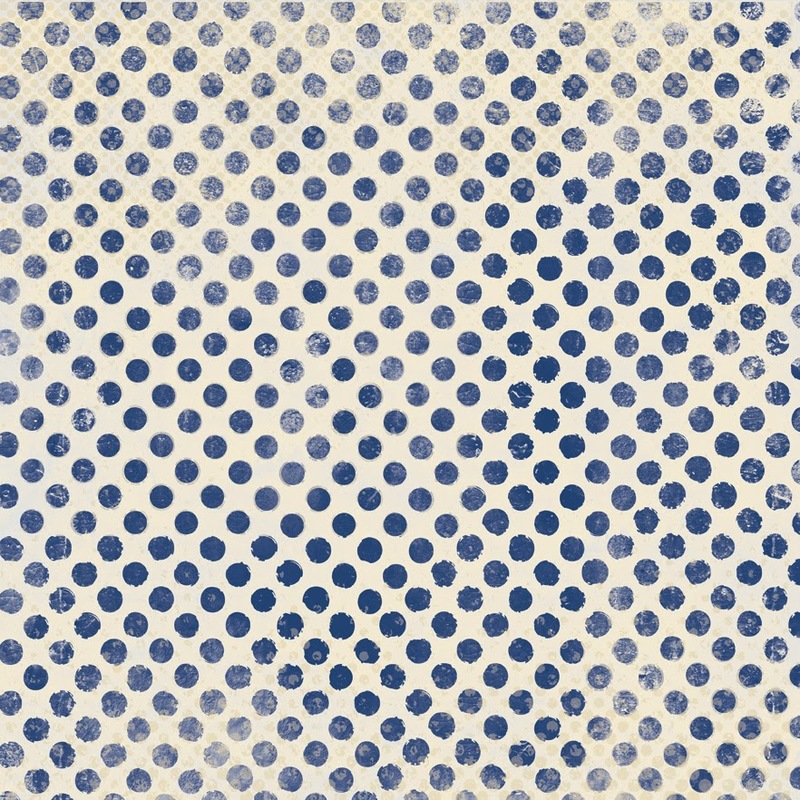 )...a faint dot layer of texture creates movement and depth. Finally, pay extra attention to the paper names and you'll better understand the link between the name and design of the paper. 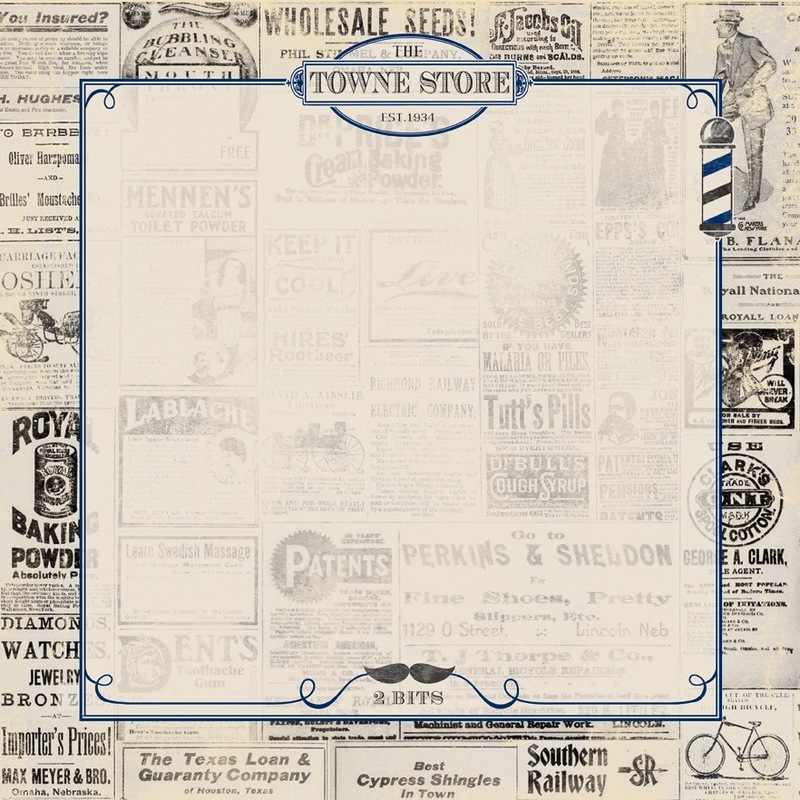 Throwback newspaper & antique cream distressed solid. 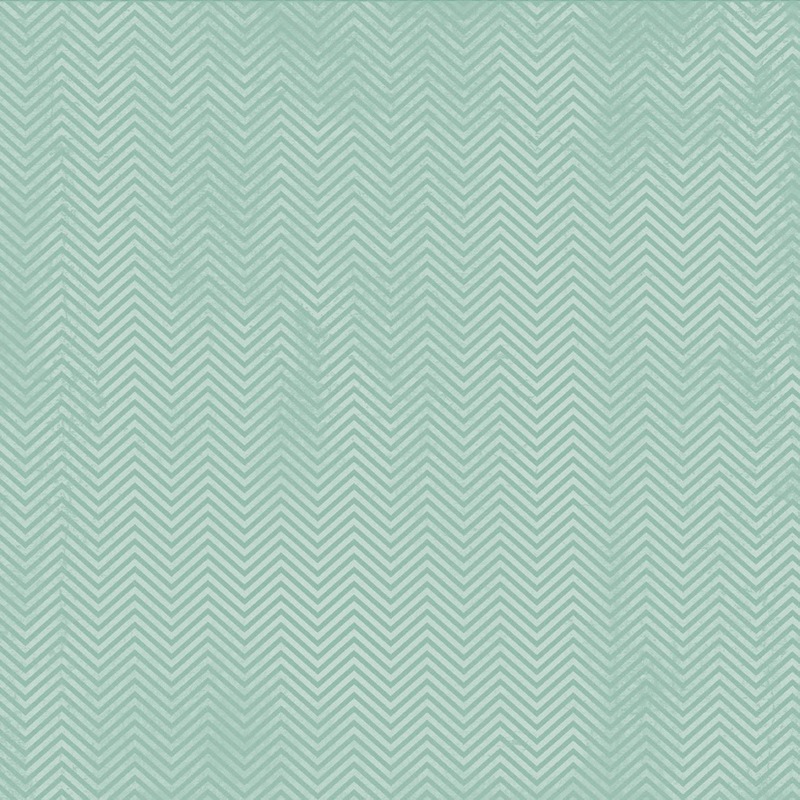 Tone on tone classic chevron / teal distressed solid - perfect as a background paper! 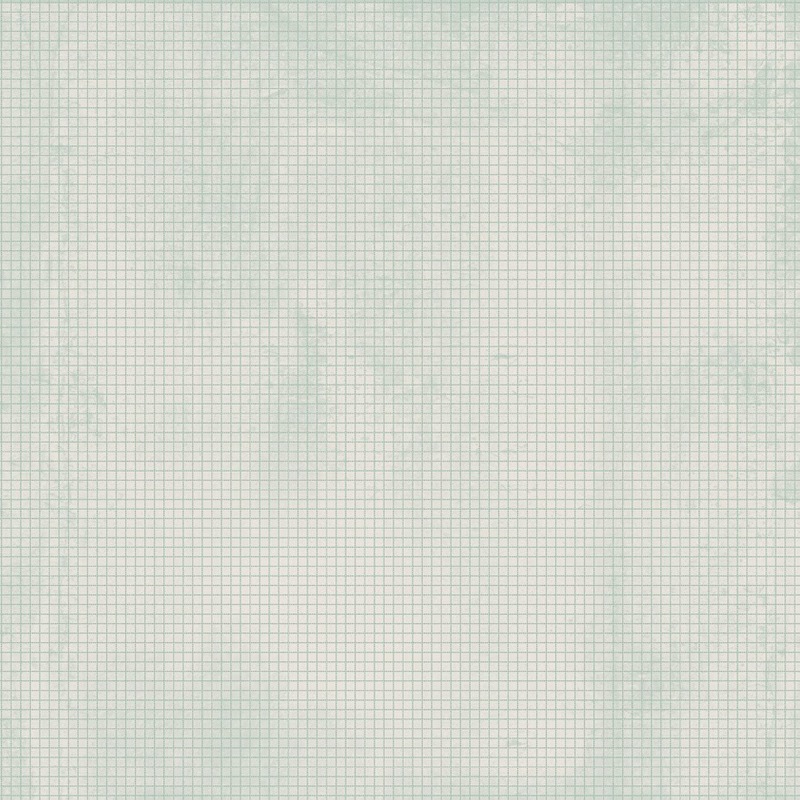 Antique white & navy grunge dot / grass green distressed solid - this paper makes us smile! 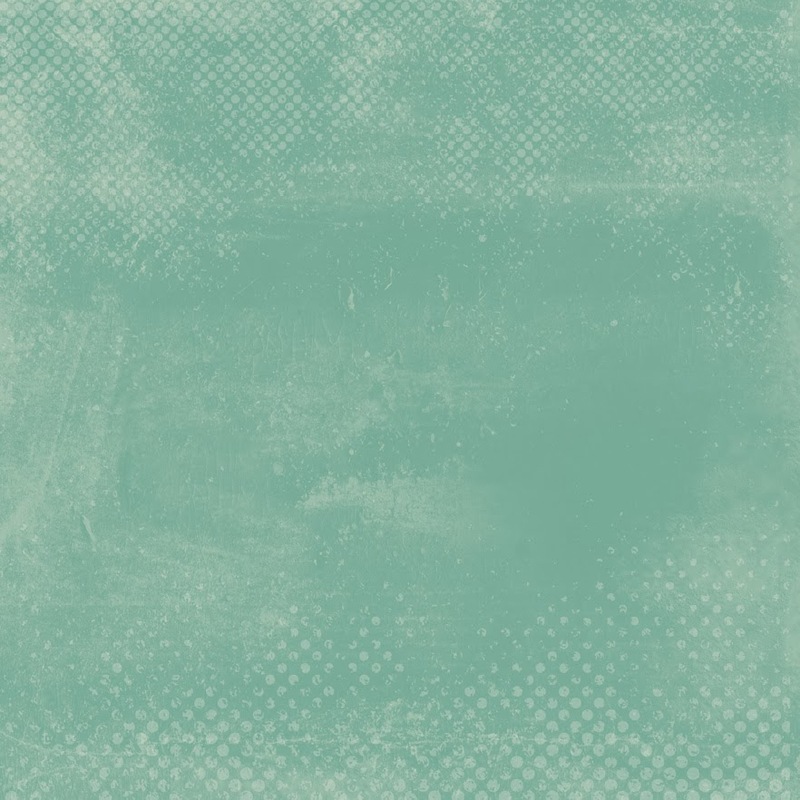 Grungy diamonds in black, grey and teal / golden green distressed solid - another fabulous background paper! 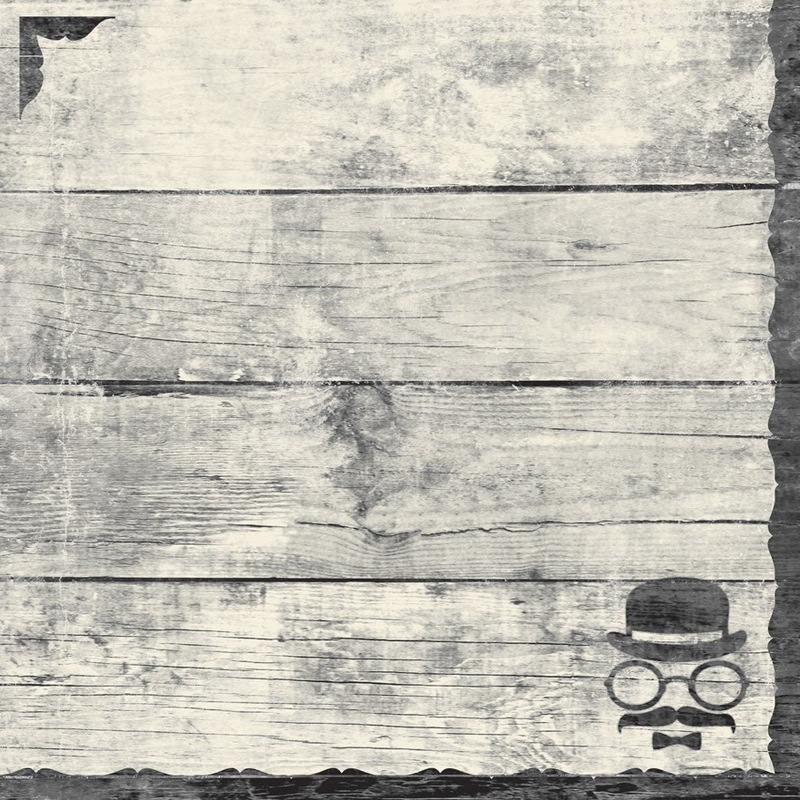 Sometimes you just need a no-brainer "foundation" for the project you have in mind...our "Foundations" are the fail-safe option, "solid" on one side and a very faint pattern on the other. Set aside a few minutes to read the sentiments on the 12x12 sticker sheet, a lot of time and thought go into the creation of our accessory sheets, this one in particular is totally "suave." 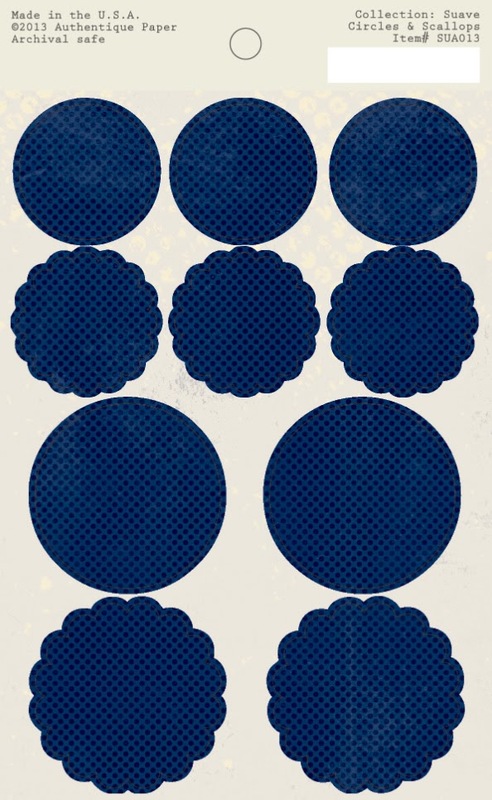 The 8x12 "Elements" sticker sheet will save you time and creative brain cells. 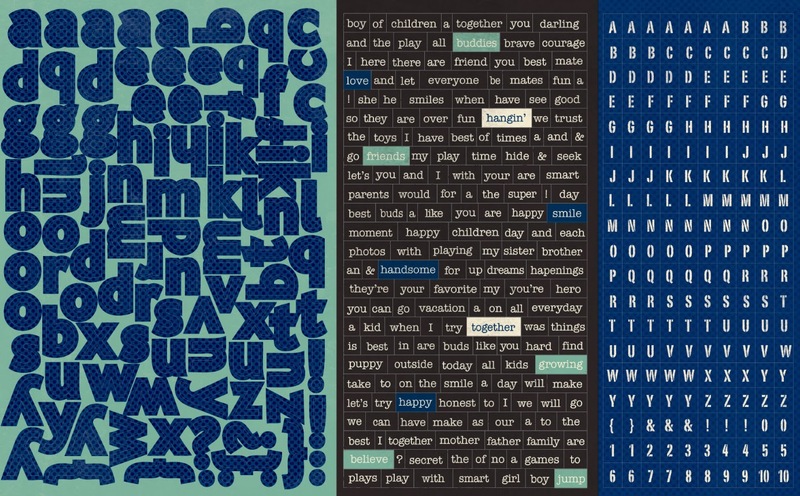 Use the "diction" mini word stickers for journaling or to personalize a card for the guy in your life! 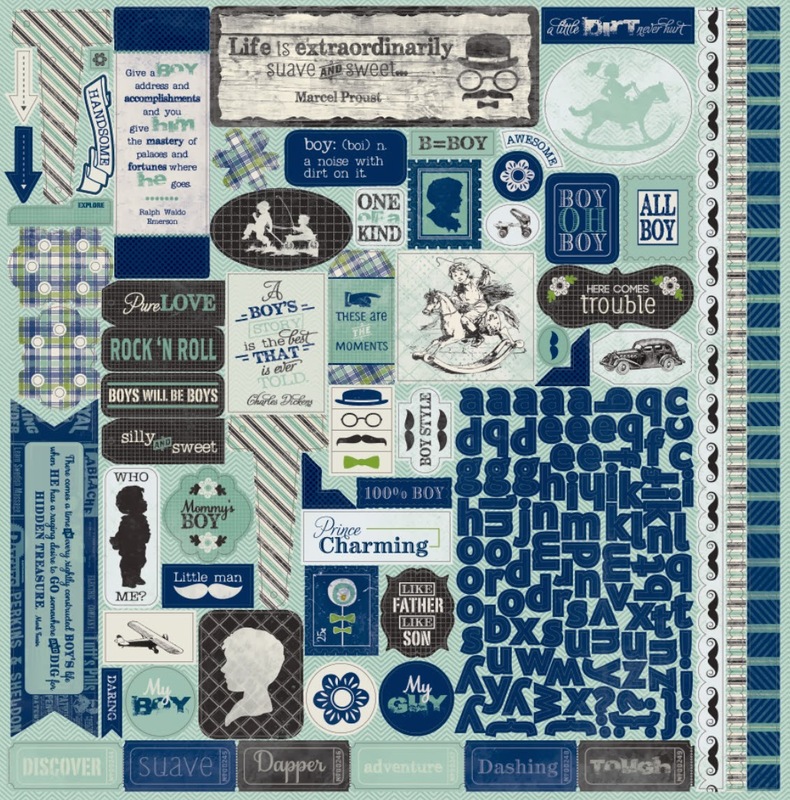 The next three items could be our favorite...cardstock pre-cut paper accents, printed on BOTH sides...layer on top of one another or if you aren't fond of the image/phrase, turn it over and use the patterned back side as a background accent piece! 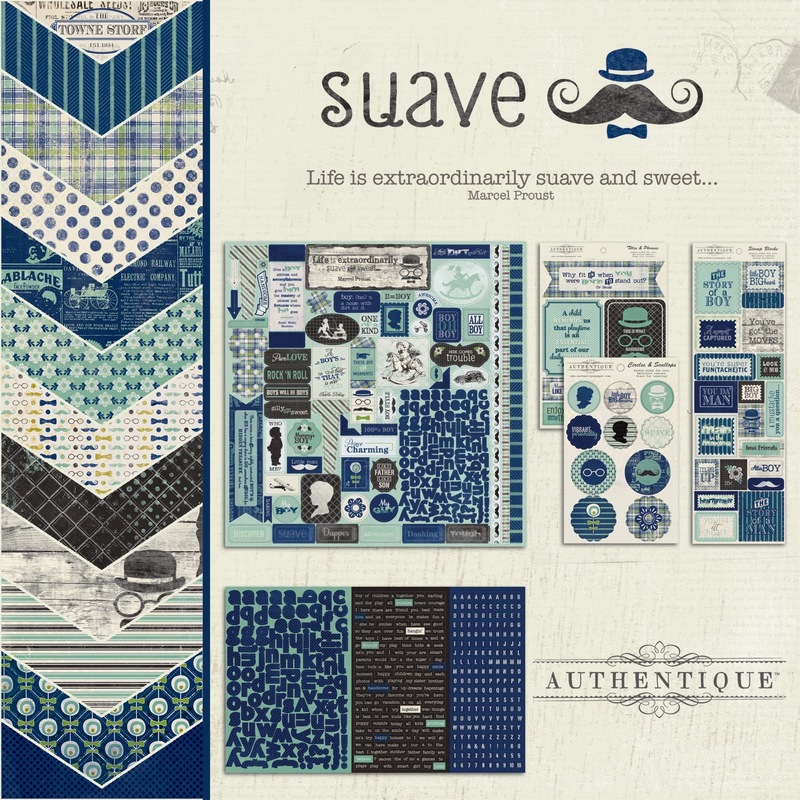 Ahhhh...nearing the end..."Suave" is a dapper collection, would you agree? The collection kit contains 12 pattern papers, 2 Foundations solids, 12x12 Details sticker and 12x8 Elements sticker...grab one to use now, and one for your stash! 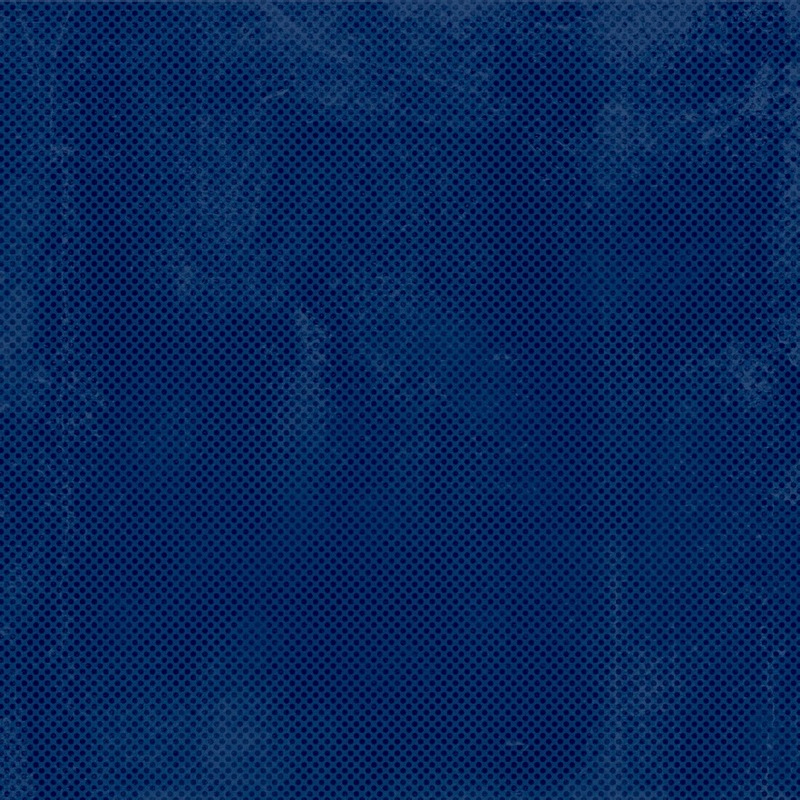 Reduced scale designs with a coordinating solid on the back. Card makers unite! 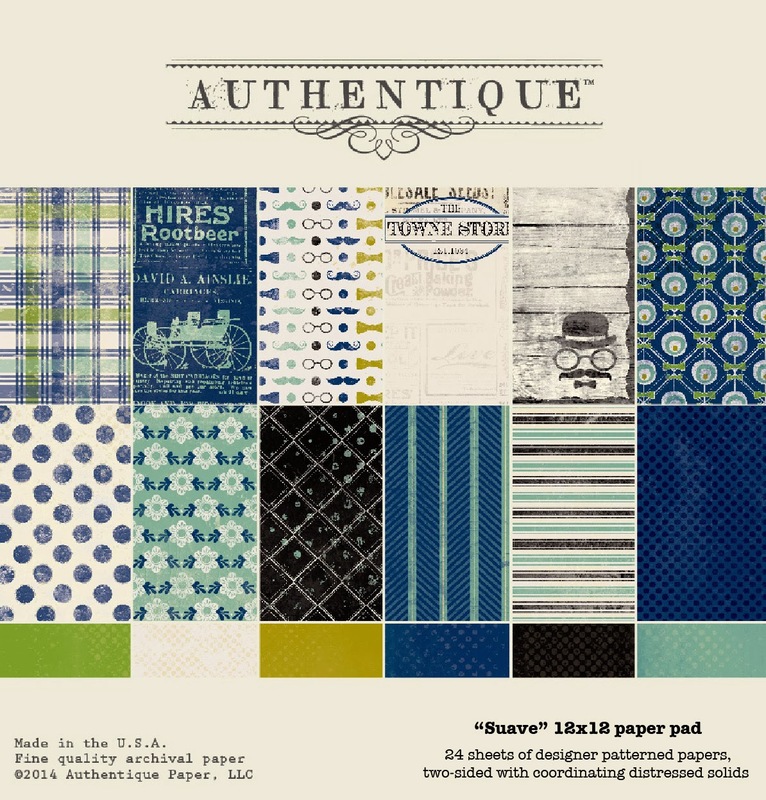 New in 2014 - our 12x12 paper pads are a huge hit! Take a look at projects created by our design team...from baby cards to capturing moments when our little boys are all grown up...special moments captured for a lifetime! 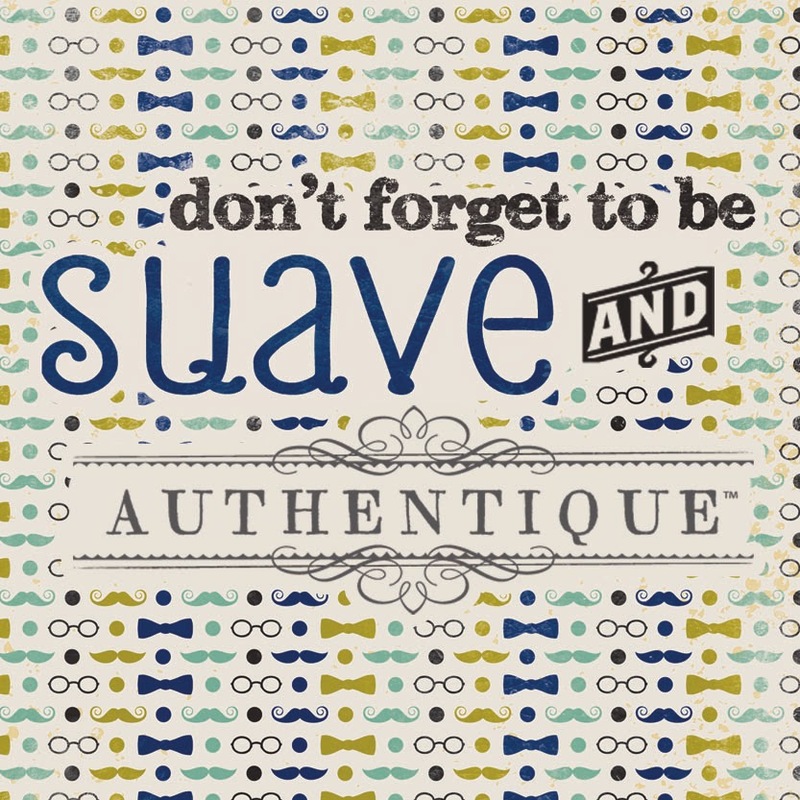 We want to GIVE AWAY a "Suave" prize to a lucky fan! 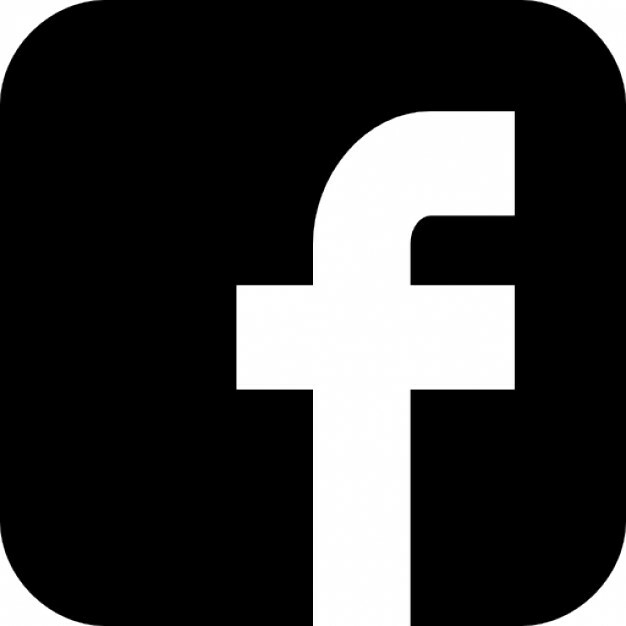 If you have a Facebook account, change your profile picture to the "badge" below AND leave a comment telling us what you love about this collection. We will draw and announce a winner in our "Winner Round-up" at the end of this month! If you don't have a FB account, leave us a detailed comment and you'll still be entered to win! I LOVE EVERYTHING about this new collection. You have really hit the mark with this design. The colors and patterns on this collection are FABulous! I love them so much! I have a house full of boys: hubby, son and puppy!!! :-) TFS! Oh my goodness, this is perfect. So many of the prints remind me of the boxers that my dad and brother used to wear! Just teased my middle son, soon to be a father, that he has never been suave a day in his life. What a hoot that this showed up today! Wow, this collection is absolutely stunning! I can hardly wait till it hits the stores, so I can use it to scrap the men in my life. 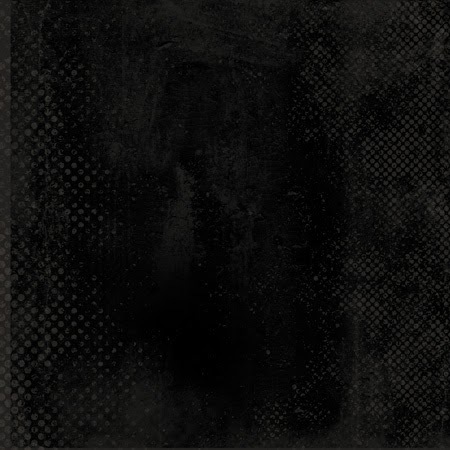 I love the grunge! I like that it can go from boy to man. We need more papers like this! Thanks for another great giveaway! Absolutely love this collection! The papers are gorgeous, I mean manly! Can't wait to see this! The men in my family may not be suave, but they are definitely sweet and this collection is so perfect for them. Love, Love the colors and designs. What perfect paper to scrap a family retreat. Can't wait for this collection. Holy Cow...this could be my favorite collection of all time...absolutely love the range of colors!!! Changing my profile pic on FB just for you! I'm in love! 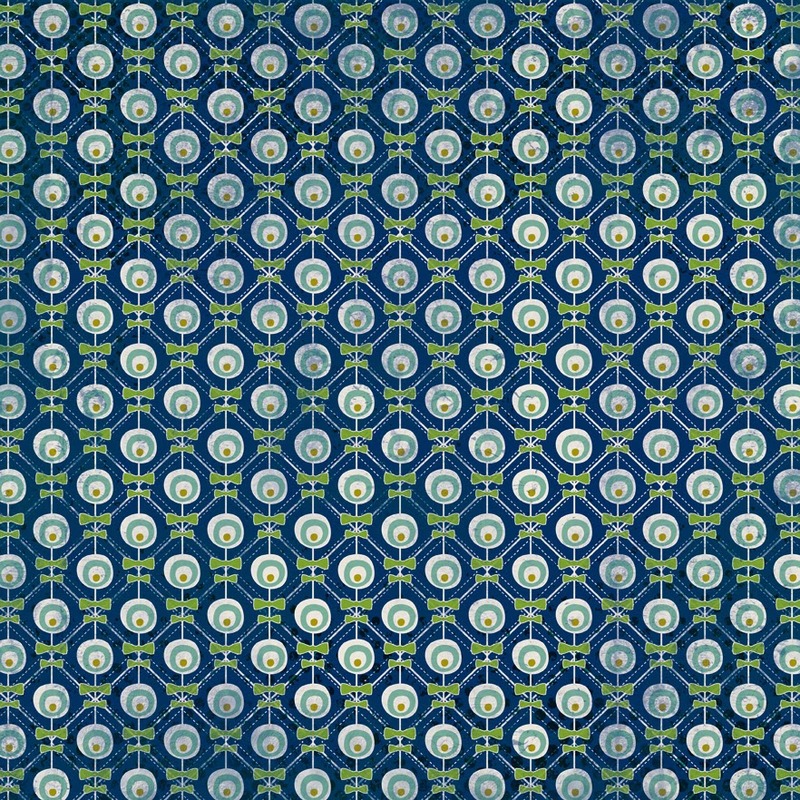 These blues are absolutely gorgeous and the patterns are fantastic. Since nearly all of my scrapping is about my 6yr old son, I can imagine lots and lots of pages using this line!! So cool, love the colors, the prints and the veratility! Great collection! 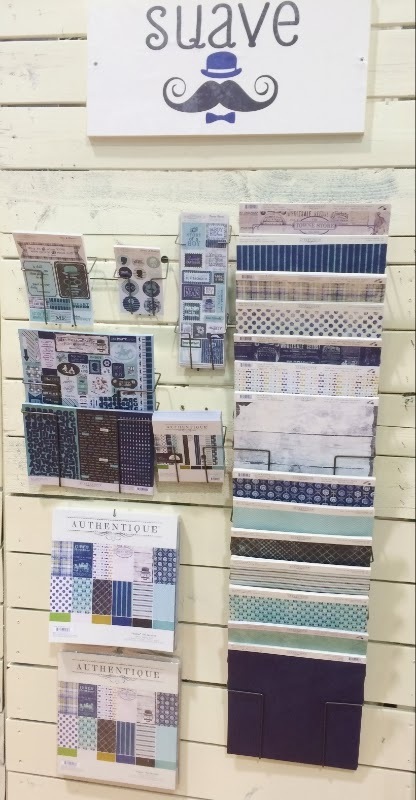 Wow...I fell in love with this new sauve and sweet paper line and then was WOW'D by the Design Teams display. When will this hit the stores? Sylvia - it is shipping to stores right now! You should be able to ask your LSS or check online retailers as well! I just love the cool colors, great for my boy's pages! love this pack! Awesome masculine collection. Wonderful creations using Suave. 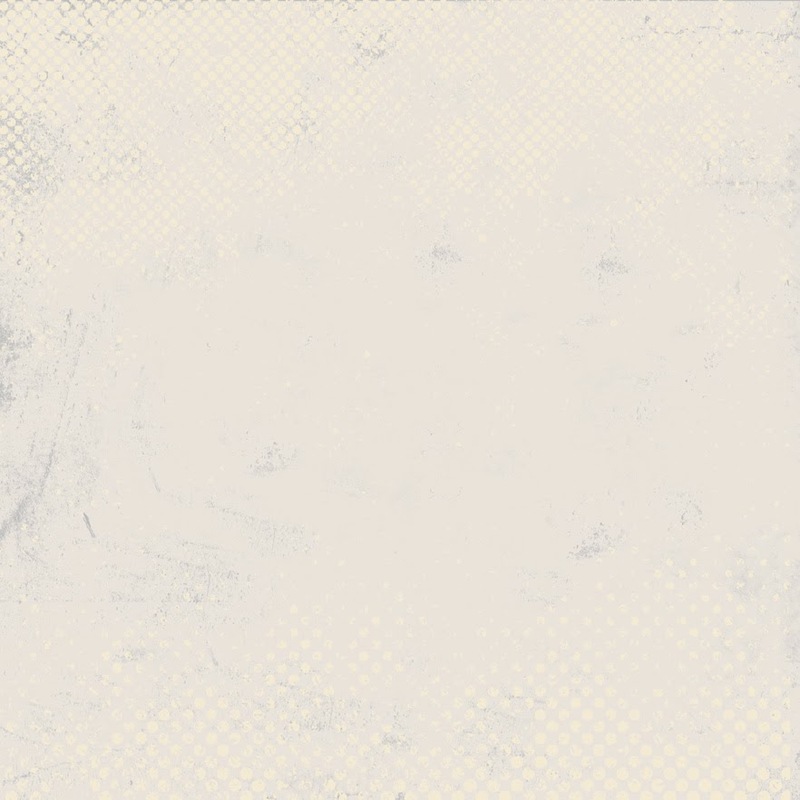 My husband and son would love to get some layouts and cards made with this. 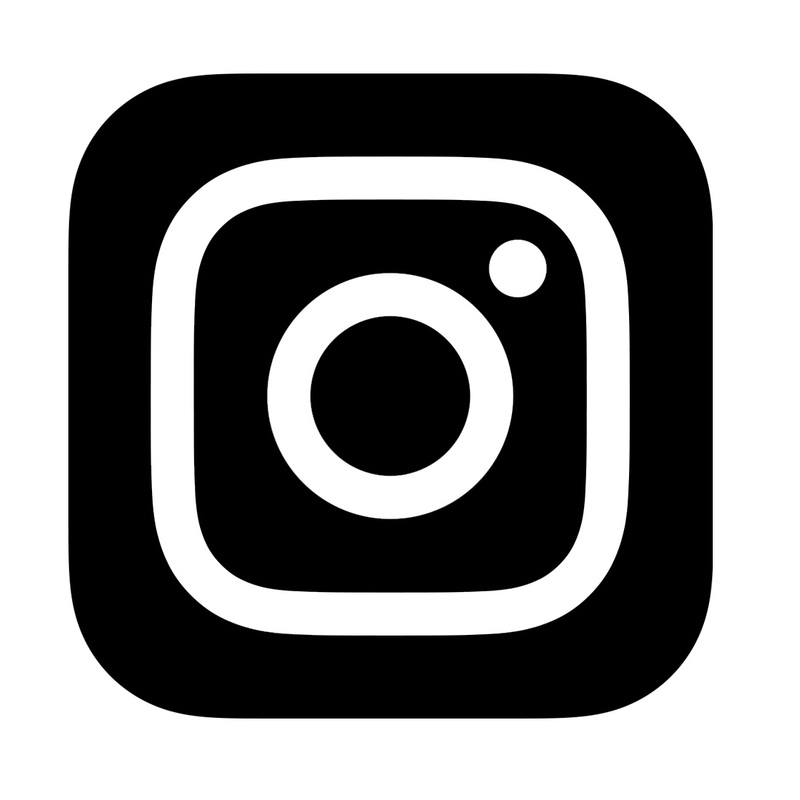 I'm off to change my facebook photo. PERFECT. Love that fact that this can be used for ALL AGES. Especially love the double sided die cuts. Can't wait to get my hands on this. 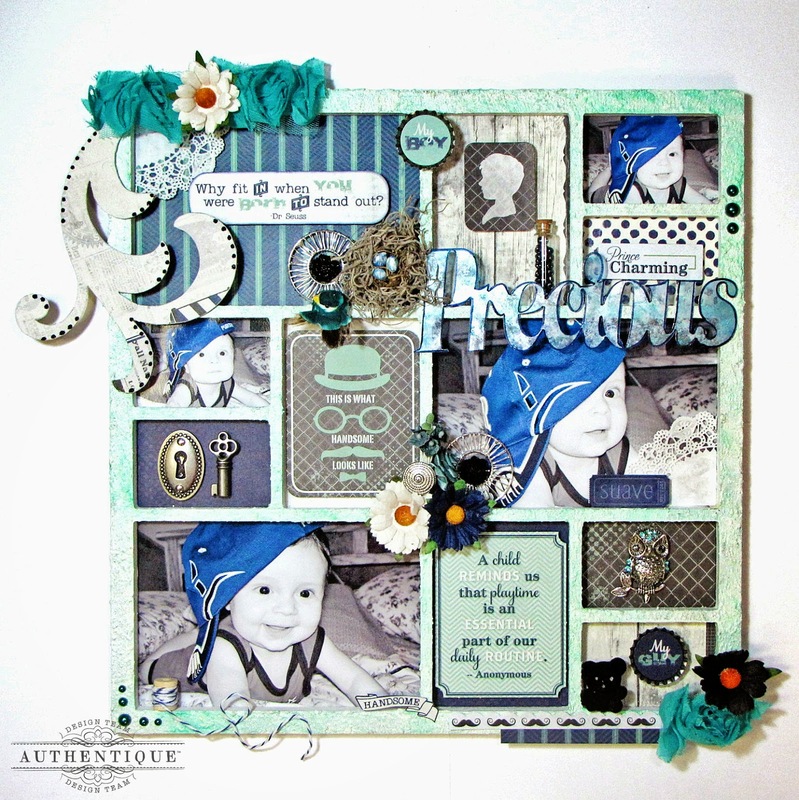 I love the new papers and embellishments! It is so nice to find papers that are perfect for a boy! WOnderful collection and name! This would be perfect for scrapping my 25 year old who is suave and sweet! Great collection! I love the paper with the fun mustache and spectacle design!!! 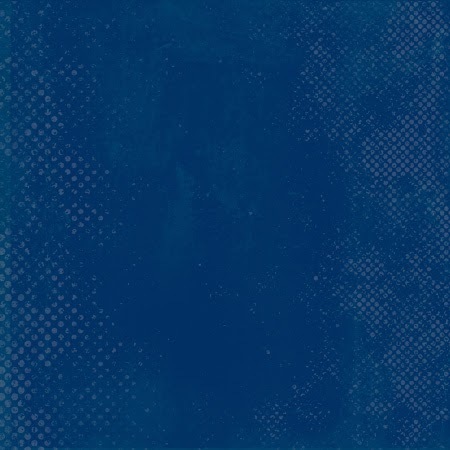 These colors and designs would make some great guy cards! I really do like this collection. 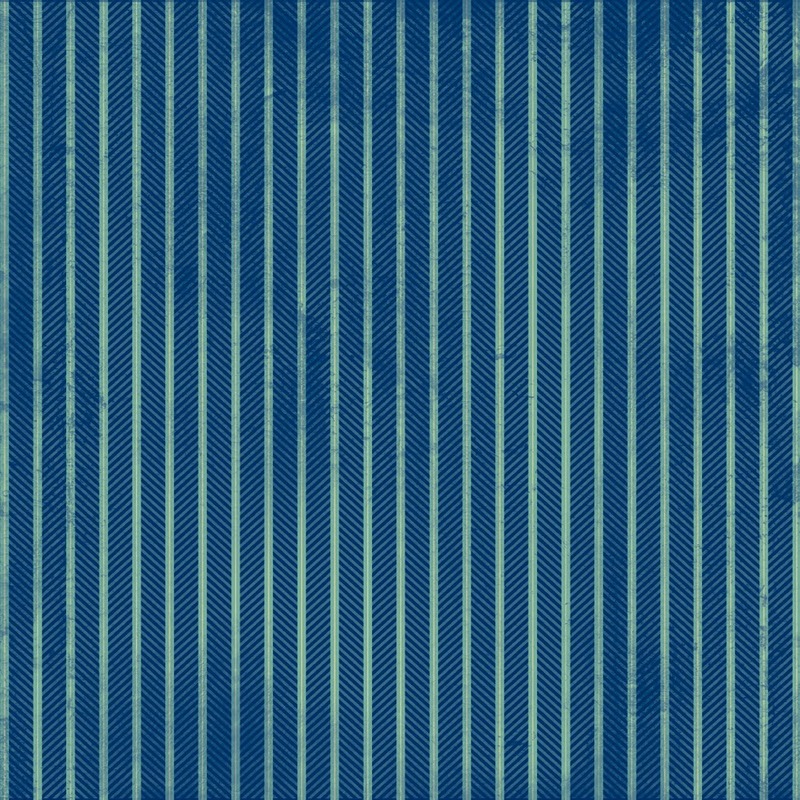 I love the blue shift, as most papers are "vintage" and warm-shaded. This would work with most home decors and for more masculine applications, like father-and-son scrapbook pages and wallmountings. They would also fit in with other collections to brighten them up. 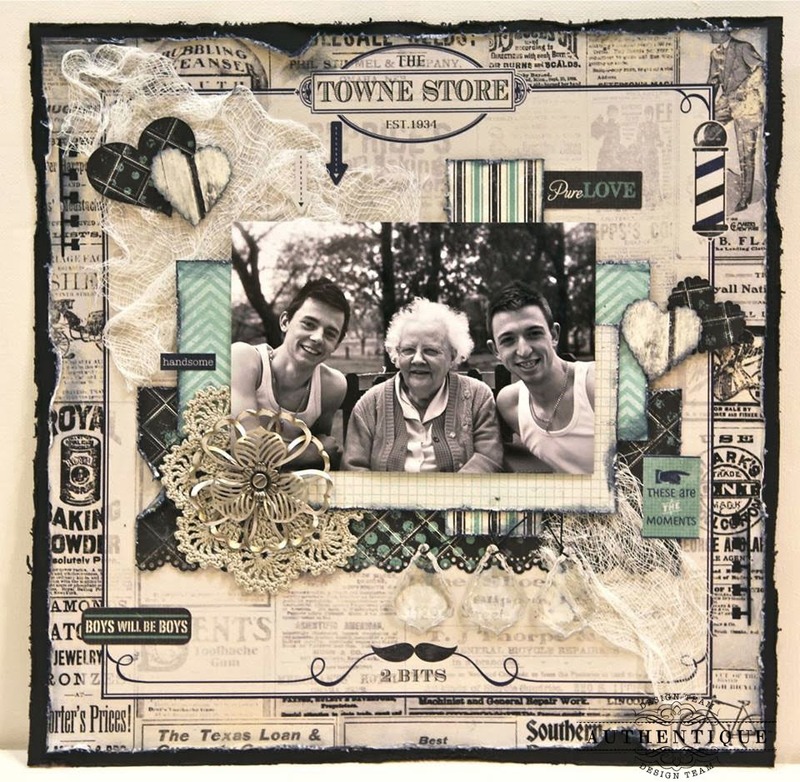 I am just discovering the scrapbooking and album-making crafts and this would make a good first collection. Thank you! Non-FBer here.....THANK you for always having your comment contests open to those of us who don't do FB!!! Much appreciate that! This is a wonderful collection!! I love the colors.....great for guys, but also lovely for gals. I see a ton of versatility here. 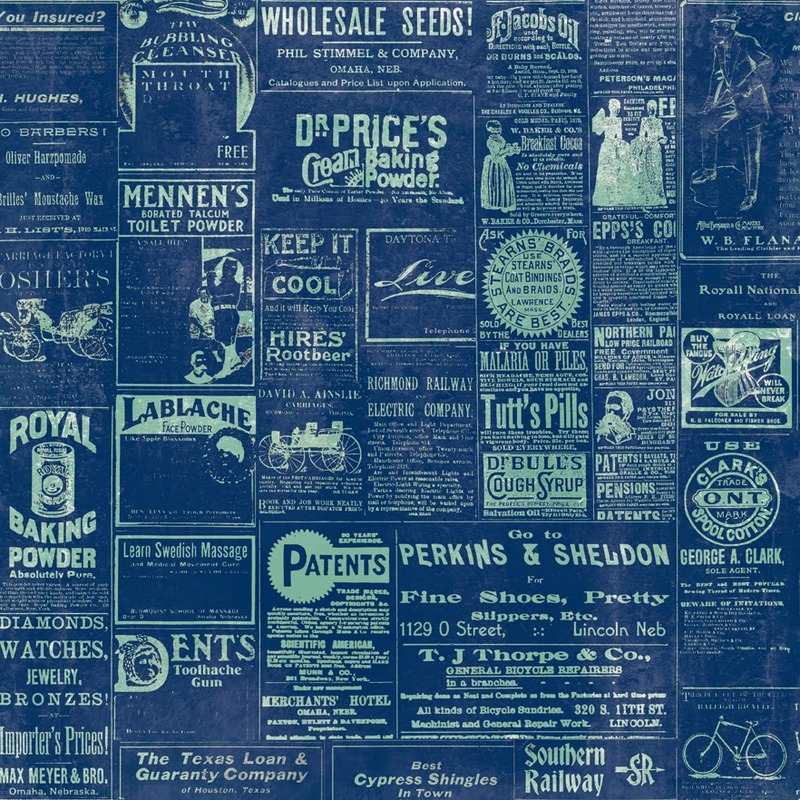 LOVE the vintage print images. Great job, Authentique!!! I just love tour papers... This collection is just beautiful ! I think this is my favorite Authentique collection EVER!!!! I love this!!! NEED IT!!!! I have all b oys and they "think" they are Suave so this would be perfect for them, especially the teens!!!! 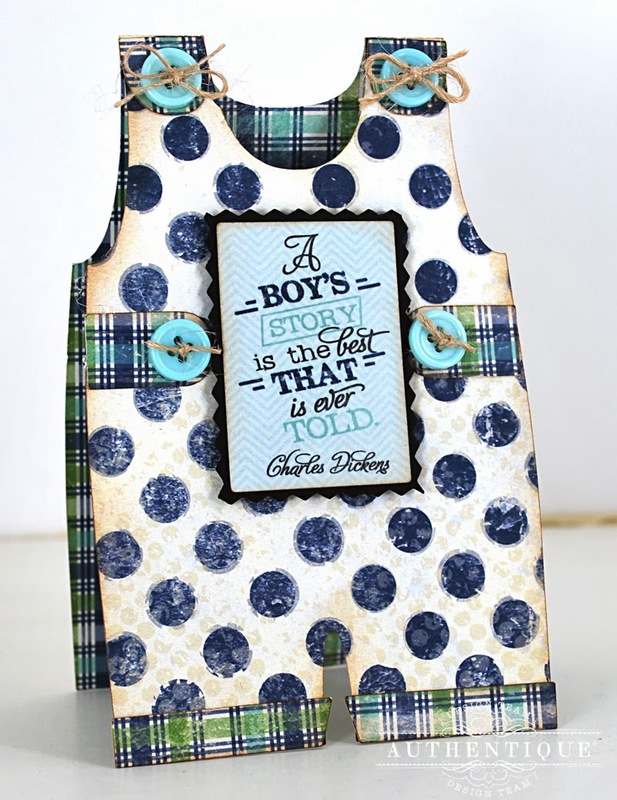 Loving the baby boy overalls! Adorable. It has been very difficult to purchase your line of beautiful papers etc. I am hoping that with our new Hobby Lobby opening I will have better luck. I just drool over your pages! 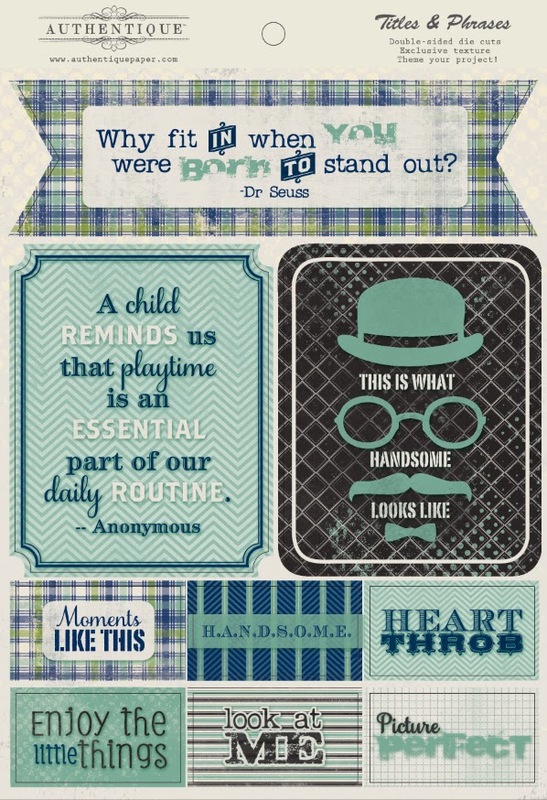 Love this collection and how wonderful it will be for cards and layouts of my grandson. Thanks for the chance to win. I love the masculine feel and colors in this collection! This collection is fantastic! 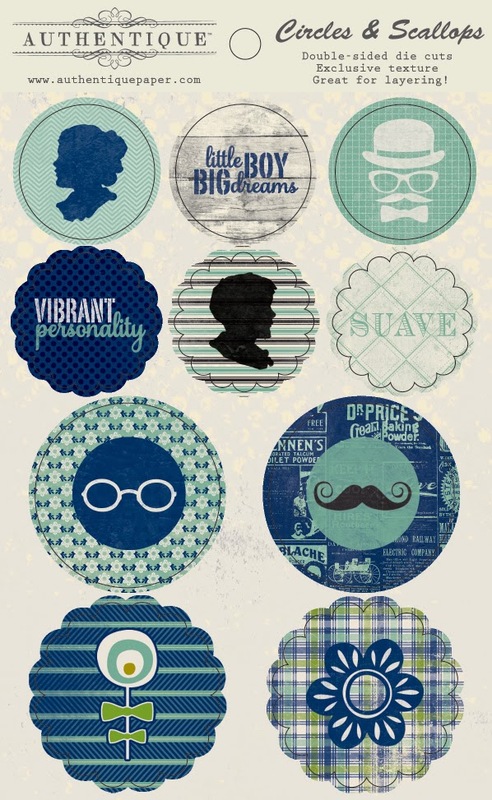 Not only is it perfect for masculine layouts but for vintage layouts as well! Brilliant job, Authentique!! This is an incredible collection. It inspire to create more things for a boys/men. I´ll be happy to get it. Love the color combinations! This would be great for my family tree album, it would enhance the look of black and white photos. You've hit the mark again. Thanks Authentique! This is really a nice masculine paper collections. I love it because I have several men in my family and never can find anything masculine to make cards. What a great collection! I often have to raid my wife's stock, this would be a perfect start to my own collection. 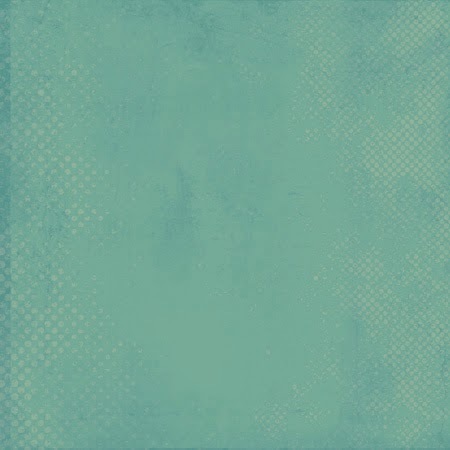 Just love the blues, teals, greens. 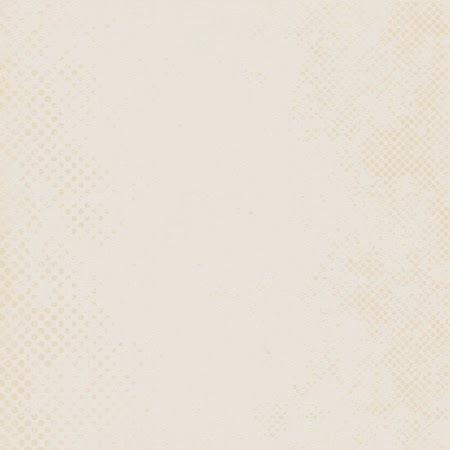 Since I have only a son this is great to have paper for masculine scrapbook pages. Very Nice!! what an awesome collection-love the colours and versatility of this!! Great collection...!!! The color wave is amazing. In love with the little coveralls...!!! My "little" guy is now 30 but this would be a great one to work with some of his younger pictures to present time. Great job with this line...love it and everything new I've seen coming out. Bravo...!!!! 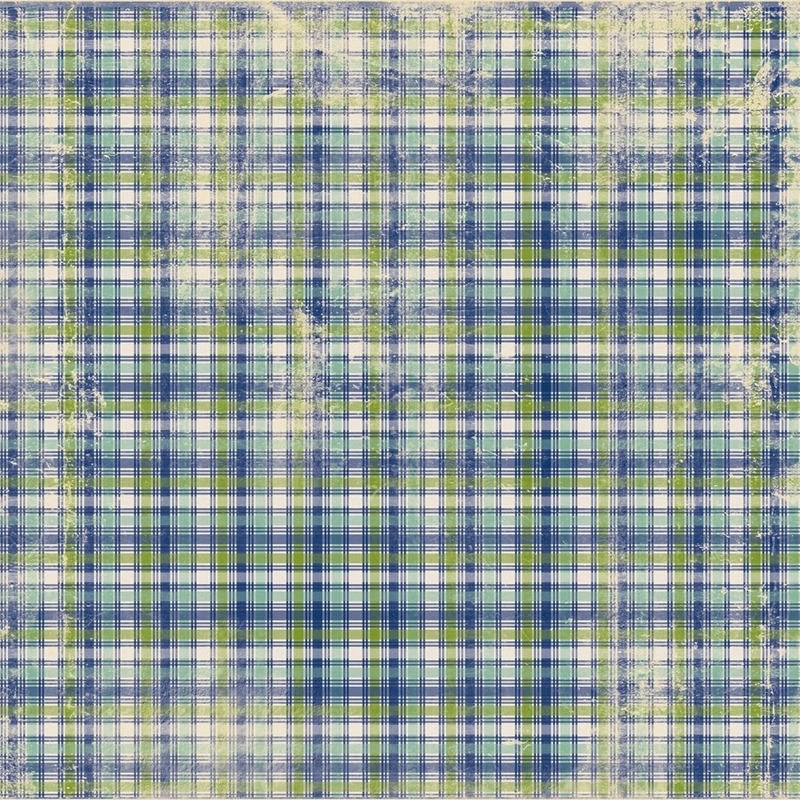 From the teal blue and lime green, plaids to polka dots (I love polka dots! 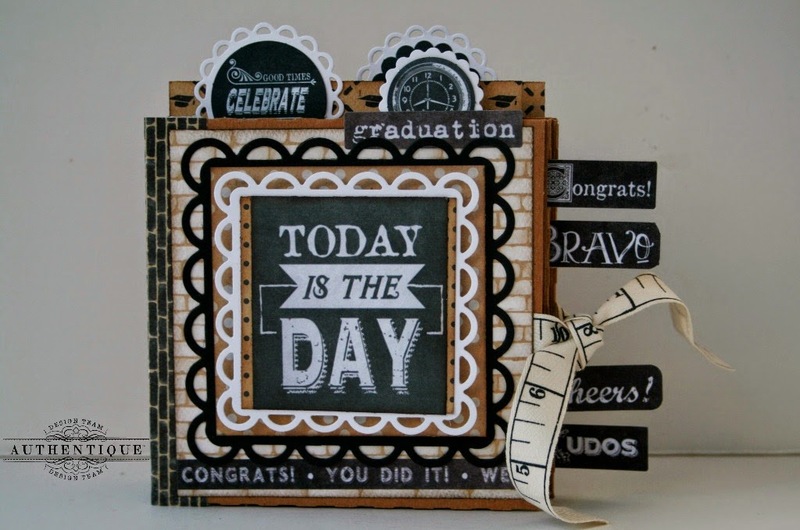 ), stamped sentiments and circles & scallops, you've come up with another winner. 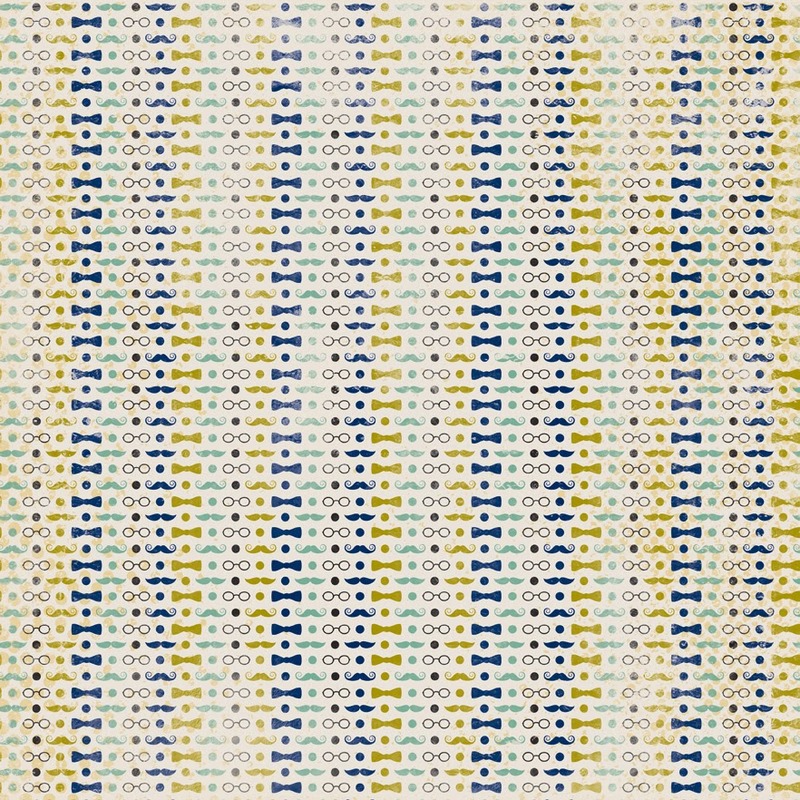 I really enjoyed your collection "Strong" and this reminds me of it. Thank you for your creativity! I changed my Facebook profile pic for this contest. This collection is perfectly my style! I much prefer these colors, shades and designs to the typical pastels and girly collections. 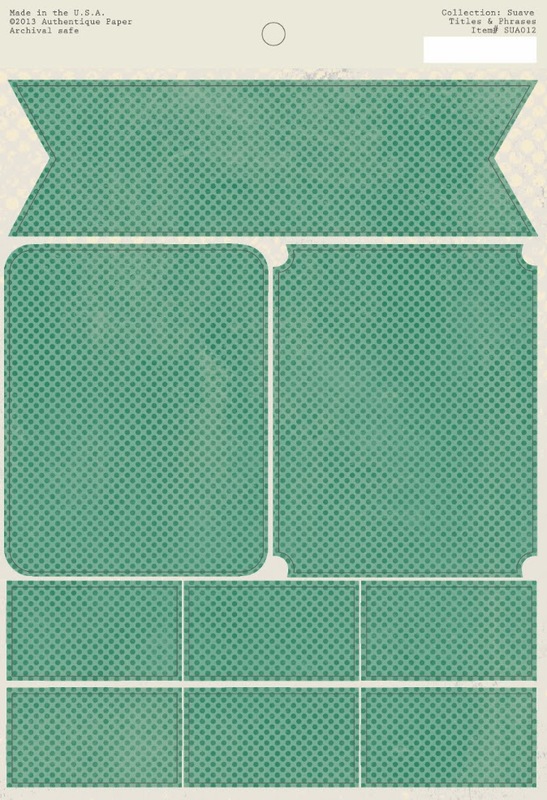 This is so much more versatile, I can use for cards, scrapbook and altered art projects. This collection is a big winner, hope I win a set! Thanks for the chance! 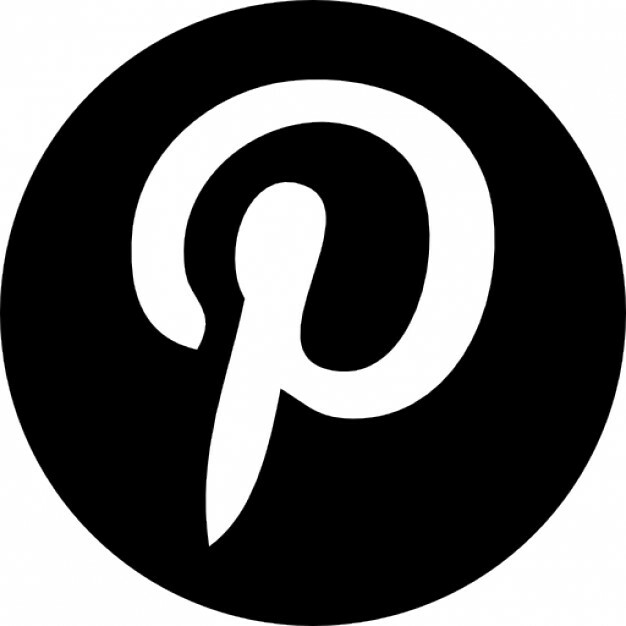 I added your badge to my FB profile as Karen Ladd and I love everything about this collection! The colors are some of my favorites and I really like the neutral theme and distressed design! I already changed my badge to the other paper earlier, did it get announced and i missed it? I truly really like these colors & patterns! It's great to see a line with no pink in it too! We need more masculine lines like this!